Google's rumored Project Tango tablet saw the light of day for the first time today. Project Tango is Google's codename for a cutting edge hardware development project that focused on 3d-depth sensing tech. Launched in February 2014, the project had been based around a smartphone, and today the project is expanding to include an expensive tablet. 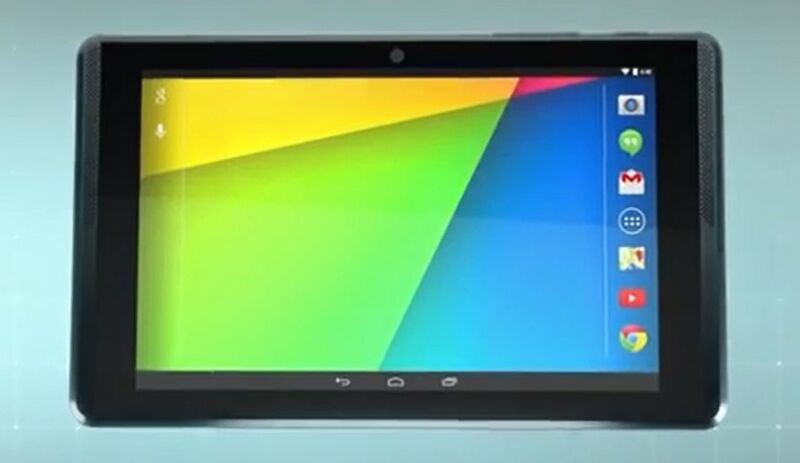 The Project Tango tablet runs a stock version of Android on Nvidia's Tegra K1 CPU with 4GB RAM, 128GB internal storage, Wifi, Bluetooth, 4G, and a 1080p display. In addition to a front-facing camera and two rear-facing cameras, the tablet also features a special rear depth sensor. The tablet is available now, but Google says quantities are limited. For a deep hands-on report head on over to Engadget. I haven't covered it before on this blog but I have been following the news, and I can tell you that Google is using Tango to drive new advances in 3D tech. "What if you could capture the dimensions of your home simply by walking around with your phone before you went furniture shopping?" Google says on its Project Tango web page. "What if directions to a new location didn't stop at the street address? What if you never again found yourself lost in a new building? What if the visually impaired could navigate unassisted in unfamiliar indoor places? What if you could search for a product and see where the exact shelf is located in a super-store?" In a way this expands on Google's other mapping projects, including Google Streetview and the in door mapping efforts for some retailers, only now Google wants to expand the tech beyond their proprietary equipment and into 3rd-party gadgets. Or at least that is where I see this going, in the long run. Hmm. It takes two (to the tenth power dollars) to Tango? Clearly, Tango requires a lot of cash. This is best for glasses and pretty pointless for phones and tabs. As for helping robots navigate, i hope they are way ahead on that one, after all today (and this is likely the biggest tech news of the year) , Softback announced a cheap robot for consumers. Rather exciting to have 3D printing, glasses and robots about to take off ,each of huge importance.